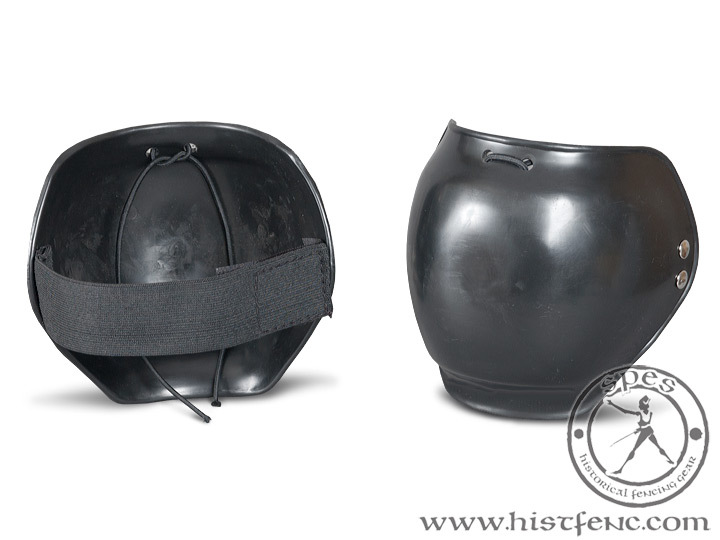 "Shell" Knees Protectors are great complementary protector to our Historical Fencing Pants. 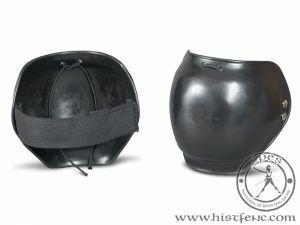 Mounted with velcro fastener, adjustable elastic tape. 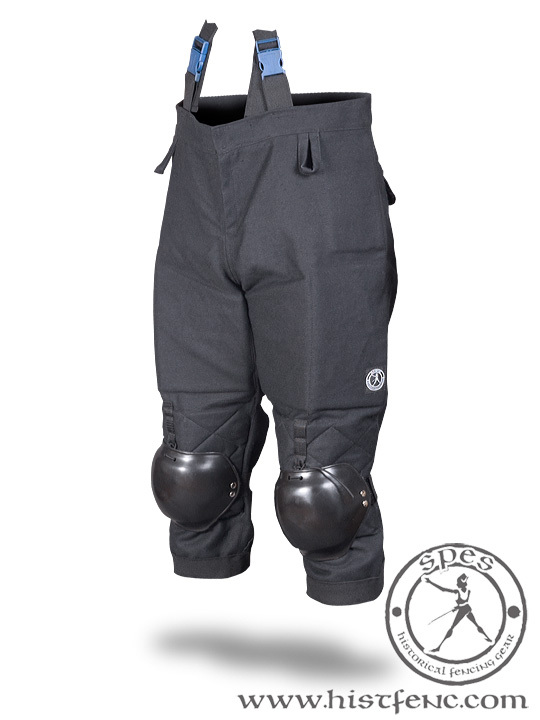 They have also extra mounting points that use elastic and dedicated loops on the Fencing Pants 350N for increased stability. 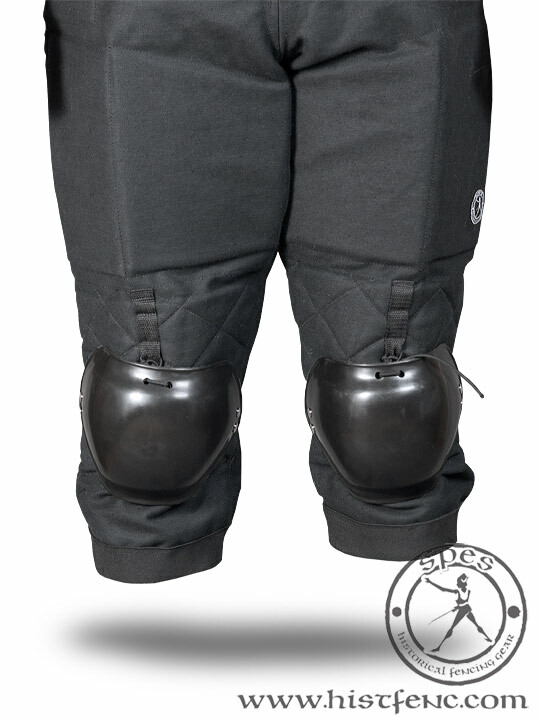 Thanks to this solution they stay in place providing enhanced protection through the whole training session. 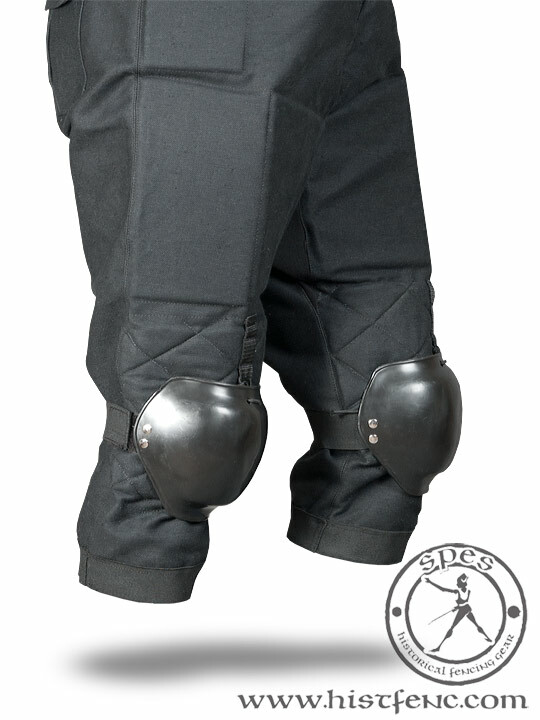 Knees protectors could be used along with other products of different companies, but for full protection it is highly recommended to mount them onto Fencing Pants.